President Trump is holding out the threat of a government shutdown in September if Congress doesn't approve funding for a wall along the U.S. border with Mexico. But no one else seems to be talking about it. Currently, the House and Senate have different versions of the appropriations bill, containing very different levels of financial support for a wall. The House version provides $5 billion for wall construction, while the Senate version contains just $1.6 billion. Once Congress returns from its August recess, it will have less than two weeks to approve a spending bill the president will sign. While there doesn't appear to be an appetite for a government shutdown, one can't be ruled out, especially when the president is holding it out as a threat. In recent years, the threat of a government shutdown has been used by both Democrats and Republicans as a negotiating tactic. Usually the party in power wants to avoid one because it normally gets the blame. The last shutdown occurred early this year and lasted only a few days. When the government shuts down, it mostly affects government workers, who are temporarily laid off because there is no money approved to pay them. Consumers can be inconvenienced if they need the assistance from one of these "non-essential workers." For example, people applying for or renewing a passport will have to wait until the government is back in operation before they can get their travel documents. In previous shutdowns, the State Department employees who process passports have been among the federal workers who were furloughed. 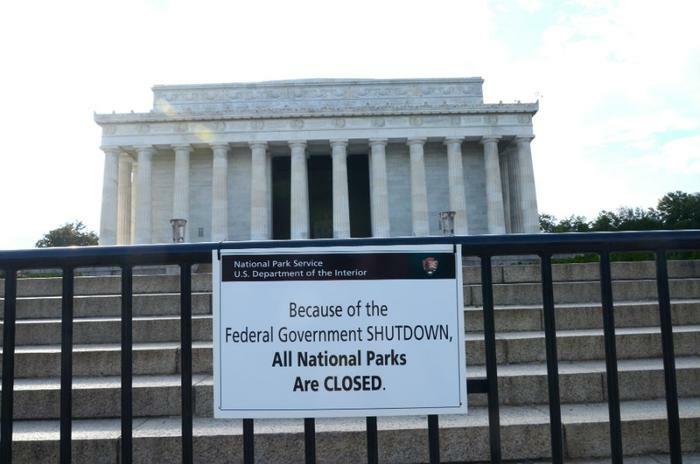 If you plan to visit a national park, you will likely find it closed. That won't be limited to parks like Yellowstone, but major tourist attractions in Washington, DC that are operated by the National Park Service. If you need assistance from the Internal Revenue Service (IRS), you'll have to wait until the government is back in operation. Consumers trying to get a home mortgage approved could be inconvenienced because their lender might not be able to access their tax records.